To determine whether out-of-hospital healthcare and adverse outcomes are better in stroke patients admitted to a neurology ward compared with those admitted to general wards. 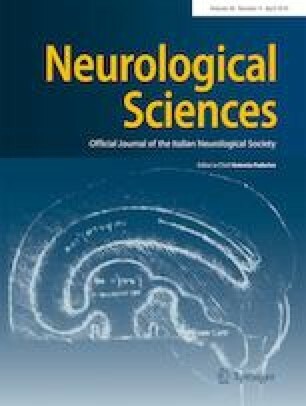 Beneficiaries of the National Health Service from the Italian Lombardy Region who were discharged alive after hospital admission during the year 2009 for ischemic stroke (9776 patients) or intracerebral or subarachnoid hemorrhage (1102 patients) entered into the cohort and were followed until 2012. Exposure of interest was the ward type where inpatients were admitted (neuro vs. general wards). Outcomes were out-of-hospital healthcare (i.e., drug prescriptions, diagnostic procedures, and laboratory clinical evaluations) and adverse clinical outcomes (i.e., all-cause death and hospital readmission). Exposure-outcome associations were investigated. High-dimensional propensity score methodology was used for taking into account confounders. Mediation analysis was used to verify whether the association between ward type and clinical outcomes is mediated by out-of-hospital adherence to healthcare. Better adherence to out-of-hospital healthcare received from patients discharged from neuro, rather than general, wards was observed being the proportions of adherent patients 42.4% and 39.5%, respectively. Compared with general wards, discharge from neuro was associated with reduced 3-year emergency admissions (from 50.1 to 47.5% among ischemic stroke patients) and reduced 3-year mortality (from 37.5 to 27.0% among hemorrhagic stroke patients). From 10 to 15% of outcome risk, reductions were mediated by better adherence to out-of-hospital healthcare. For patients with acute ischemic and hemorrhagic stroke, admission to neuro vs. general wards is associated with better out-of-hospital healthcare and long-term adverse outcomes. The online version of this article ( https://doi.org/10.1007/s10072-019-03867-7) contains supplementary material, which is available to authorized users. The authors wish to thank the past (Leandro Provinciali) and the present President (Gianluigi Mancardi) of Italian Society of Neurology (SIN) together with SIN Board of Directors who supported with their encouragement the realization of this research. This work has been realized by means of an unconditioned grant from Italian Society of Neurology (SIN). SIN had no role in the design of the study, the collection, analysis, and interpretation of the data, as well as the writing of the manuscript. Giovanni Corrao received research support from the European Community (EC), the Italian Agency of Drug (AIFA), and the Italian Ministry of Education, University and Research (MIUR). He took part in a variety of projects that were funded by pharmaceutical companies (i.e., Novartis, GSK, Roche, AMGEN, and BMS). He also received honoraria as member of Advisory Board from Roche. Other authors declare that they have no conflict of interest to disclose.